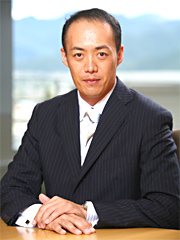 CEO's Message | Company | Nitto Co., Ltd. In 1943, Nitto Co., Ltd. was founded as Nitto Electro Industrial Plant, the predecessor of today's Nitto Co., Ltd. Since then, we have been processing and manufacturing to meet constant market needs for "electronic components, optical parts, and machine parts," such as manufacturing of condensers, lens polishing, high precision surface polishing of hard discs and LCD glass substrates, etc. Having the precision surface process as our core technology, cutting, grinding, outer-shaping, etc., we are proud of our technology in processing various materials from glass materials, ceramics, metals to specialty resin materials into electron optical components... Our technology is being constantly refined, developed, handed on to the next generation product development, and utilized for various industrial needs from LCD display industry to electrical/electronic/optical industries. Our fundamental company principle, "To be recognized by the world, to become a company needed by the world"... To comply strictly with compliance and customer requests and maintain product quality (cost, delivery, technology, specification), these are what we consider as basic principles for corporations like us to continue to be successful. From small multiple types of materials to mass orders at reduced price, our technology will turn a wide range of "raw ores," whether procured by us or provided by the customer, into "electrical/optical parts" with our processing technology. "We are determined to always exert our best effort to deliver the technology and quality our customers request and to continue to develop with our customers. We appreciate and solicit your future guidance and encouragement. "